Sandbox Computers for Kids Inc. Suggested that classes be taken twice a week, but it is OK to take them intermittingly before promo value expiration date if need be. Bootcamp classes are taken consecutively Monday-Friday. Computer classes: one month of 90-minute computer classes two times per week (8 classses total) for $84. Grades K-12. Math tutoring: one month of small group 90-minute math tutoring sessions two times per week (8 classes total) for $114. Grades K-12. 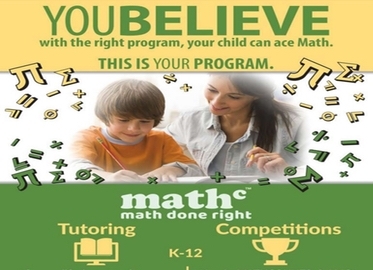 Math Competition Prep: one month of 90-minute Math Competition Prep classes two times per week (8 classes total) for $79. Grades 2-12. Math Bootcamp: One week of Monday-Friday Math Bootcamp for $149. Bootcamp is 1/2 day from either 9:00 am-noon or 1:00 pm-4:00 pm for grades K-12. Bootcamp runs from July 16th-August 10th. 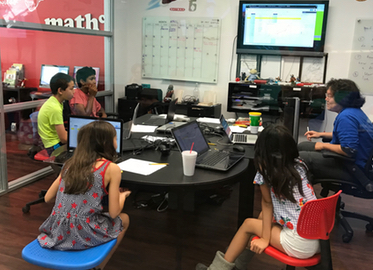 Using our exceptional math and computer skills (OK, so we may have used an online “percentage off” calculator), we came up with FOUR great deals for computer and math classes with our friends at Sandbox Computers for Kids with convenient locations in Simi Valley and Thousand Oaks. Check out the descriptions below for the program that fits your child! 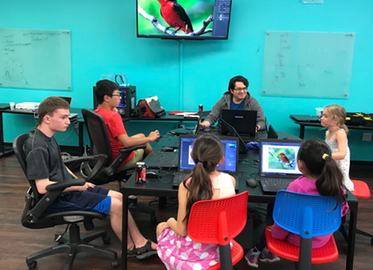 Computer Classes: “programmed” for children in grades K-12 (children will be separated by age and skill level), these 90-minute classes are offered two days a week. In a fun, spirited class, kids learn to use Minecraft Modding, Robotics, or Website Design. Small Group 90-minute Math Tutoring Classes for grades K-12. Children learn in small groups of 3-5 students in the same grade level. 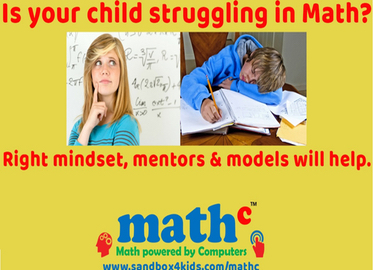 Perfect for kids who are either struggling with math or want to enter school in the fall with math confidence. Math Competition 90-minute Prep classes are for grades 2-12 with a 1:8 instructor to student ratio. These classes are ideal for students who love math and are looking for additional challenges and to further develop their problem-solving skills. Math Competition Prep prepares students for prestigious competitions such as Noetic, MATHCOUNTS, and AMC Math Olympiad. Math Bootcamp is a one-week camp for kids entering grades K-12th. Camp is three hours daily, either from 9:00 am-noon or 1:00 pm-4:00 pm. Math Bootcamp reinforces foundations and teaches core concepts for the upcoming school year. Students learn through reasoning and interactive models giving students a head start to help ace math and build confidence. Each Conejo Deals member may purchase one certificate in each category per child.